Pneumatic screw driver for assembling parts and/or work pieces in single or series production. High torque repeatability (the motor shuts off the rated torque is reached), high shut-off accuracy, low energy consumption, reduced torque reaction, low noise level - an air nut runner for industrial applications. Quick-change chuck with easy and safe use. Large torque range 0.4 – 12.0 Nm for a wide range of applications. High rotation speed 400 – 2,000 min-1 ensures short tightening cycles. ±5% shut-off accuracy, high torque repeatability. Ergonomic grip with no slip sheath for safe and comfortable tool holding.. 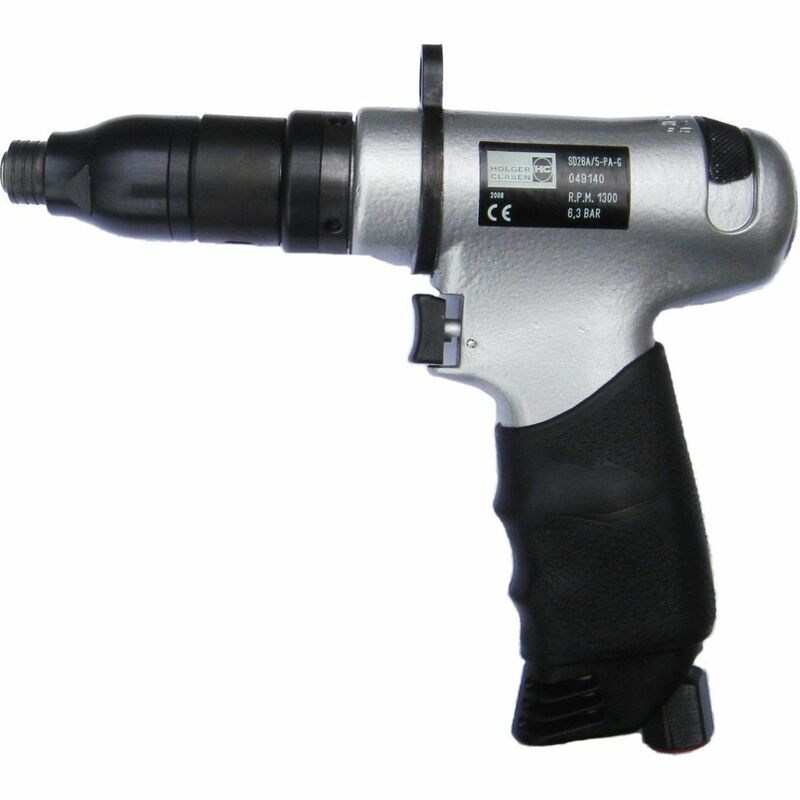 The air powered screw driver can be operated with unlubricated air delivery.